Electrofusion is a method for joining together plastic piping. Specific fittings, containing heating elements, are attached to the pipes and when a voltage is applied to the fittings it welds them together, forming a strong homogenous connection. 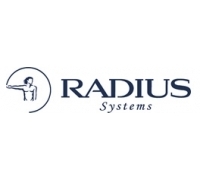 At Nuenta we sell high quality electrofusion fittings manufactured in the UK by Radius Systems and we have the in depth knowledge to help you with any assistance you might need. In addition to our range of electrofusion fittings we off electrofusion welding boxes and ancillaries such as clamps and scrapers. For more information please see the relevant product page, or alternative speak to one of our sales team on 01543 466642.